Successfully Added iPhone 6/6S Qi Wireless Charging Case - 4.7 Inch, DC 5V, PC+TPU Case Material to your Shopping Cart. Protect and charge your iPhone 6 or iPhone 6S with a compact and lightweight Qi wireless charging case. Keep your phone safe and make charging it more convenient with the Qi wireless charging case. It’s simple, light, compact, offers great protection for your iPhone 6 or 6S and makes charging super easy. Qi wireless charging allows you to charge your phone (and other Qi-compatible devices) wirelessly via induction transfer. It’s easy, quick and efficient – and getting to be a popular method for charging up all sorts of gadgets. The Qi wireless charging case is designed specifically for your iPhone 6 or 6S, and will be a perfect fit for your smartphone. Made from a combination of PC and TPU materials, the case is both resilient and flexible - offering your phone all the needed protection while not burdening you with extra bulk. Simply pull the lightning connector slightly out, place the case onto the back of your iPhone and snap it in place, connect the lightning cable to the phone and you’re ready to charge up your phone on any wireless charging surface. It’s that easy and that convenient! 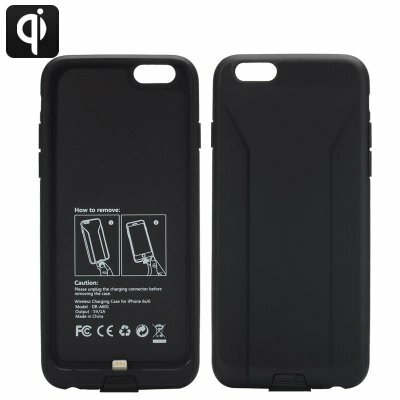 Suitable for use with Nexodus LifeLine [CVAGF-A536 ], the Qi Wireless Charging Case for iPhone 6/6S comes with a 12 months warranty. Brought to you by the leader in electronic devices as well as wholesale Qi wireless charging cases..